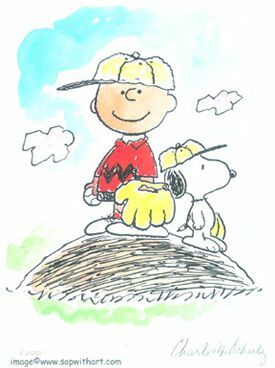 Limited edition lithograph, signed by Charles M. Schulz, featuring Charlie Brown and Snoopy. 1995. Edition Size 500 Image Size 10.75" x 8.5"